Often, we talk about how the criminal justice system isn’t working. That’s a critical discussion — and there needs to be even more of it. Certainly, the recent violence and tension in Ferguson, Missouri have put criminal justice reform at the top of the national agenda. That’s why now is a good time to spotlight efforts that are working and making cities across the country more just. That’s how systems change … by people learning from one another and adapting innovative solutions for their own communities and organizations. 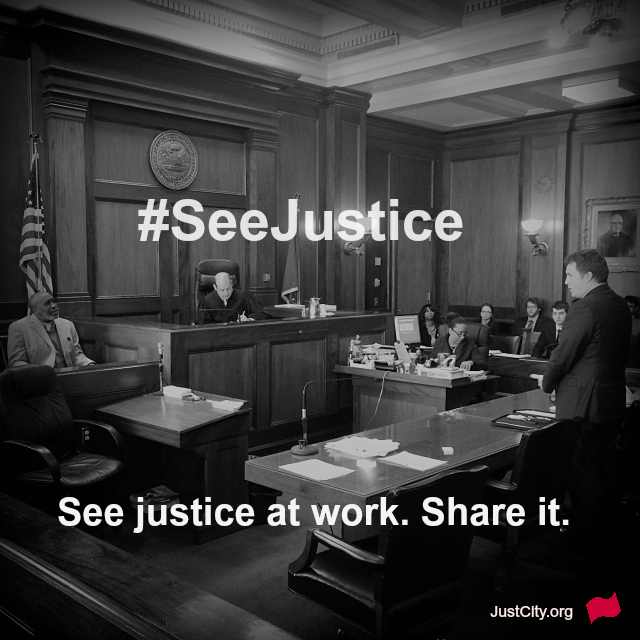 So, when you see justice, tell everyone about it with the hashtag #SeeJustice on Facebook and Twitter. Let’s talk about what works.